After many weeks of creating my hat, by Tracy Young of Millinery Treasures, and me planning the rest of my outfit, the big day finally arrived this past Wednesday and it was off to the Women's Committee of the Central Park Conservancy's Frederick Law Olmstead Awards Luncheon, aka the Hat Luncheon, with Tracy and my friend Gail. It was an absolutely beautiful day in New York, just perfect weather for the luncheon and for my outfit of a light long jacket over a cotton dress. I think my style is generally classic and I like to liven things up with fun accessories, but for this luncheon I wanted something a little bolder. 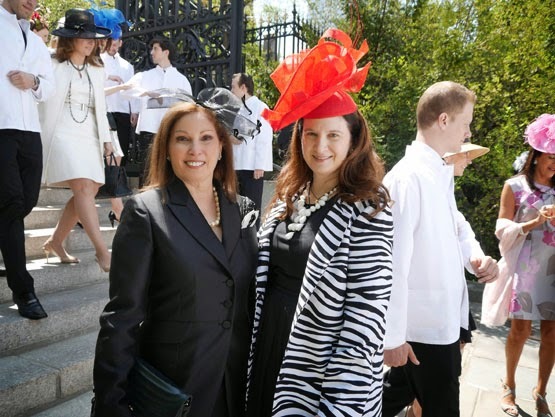 I had asked Tracy to make me a red hat and when I saw a zebra print coat at Talbots everything clicked. I already had a black dress with a white hem, also from Talbots, and the jacket hit it just at the right spot. But, of course, the piece de resistance was the hat. 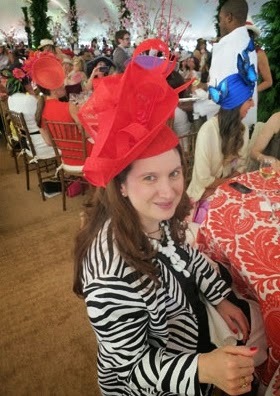 I know I'm biased, but I truly think my hat was the most fabulous hat at the luncheon! Tracy did an amazing job on it and I was so lucky to be wearing it. A close up of the masterpiece! Stunning detail! Tracy made her own hat, too, of course. It was a hat luncheon themed hat, complete with table and chairs! Gail was sporting a new suit and matched it with a delicate, ladylike hat. Another woman at our table had a beautiful blue hat decorated with butterflies. I wanted to take photos of a lot of the fabulous hats, especially ones that my other friends were wearing, but with twelve hundred (1200) women in attendance it was a bit overwhelming just to say hello to everyone we knew. So, once we got to our table I made a short video to show some of the hats in our vicinity. As you can hear from the noise level it was very high energy under the tent. The luncheon was a splendid affair, as always. This year former New York City Mayor Michael Bloomberg was honored with an award and there were many notable New Yorkers in attendance. It's sad to think the luncheon only comes once a year, because everyone looks so elegant in their gorgeous outfits and pretty hats. But, we did get some nice parting gifts to remind us of the fun: a bright orange umbrella from Wathne and an eye shadow set from Bobbi Brown. 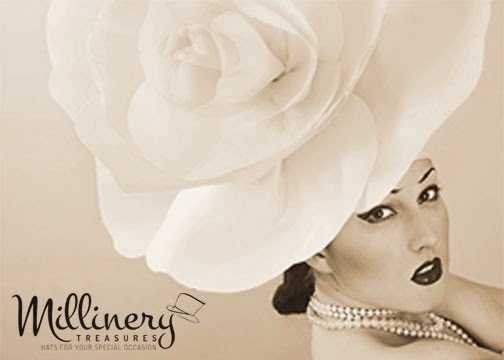 Hats off to the Central Park Conservancy for another wonderful annual hat luncheon! Great to see this awesome luncheon party. Loved those adorable hats. They look amazing. My friend is planning a lunch party at one of venue New York and will look for best arranging ideas for the day. Will help her to make it successful one.